What locations can I get a forecast for? How current are the weather observations? Is there a stand alone NWS app for the IPhone, Android etc.? What services are provided by the NWS mobile website? You can get your local forecast and current weather conditions. 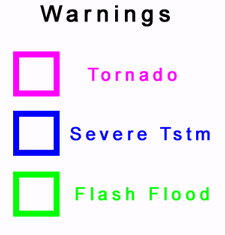 In addition you can look at local radar, satellite, river gage information and if appropriate marine information. Once your location is set, you can change it, by tapping on the name of the current location and select the method to change the location (enter zip, address or click on a map). Does the NWS mobile site save the location data I provide? Does the NWS mobile site track my location once I leave the site? No. Once you navigate away from the site, any location data is discarded. Is there a way to make NWS mobile remember a certain location? Currently there is not a way to have the NWS mobile site remember a location. What locations can I get forecasts for? Do I have to allow the NWS mobile site to access my location via my smart phone? No. You can deny access and then still use the site by providing a zipcode, city, state pair or by clicking on a map.